Patchogue Theatre for the Performing Arts is proud to present a very special presentation by world-renowned Egyptologist and mummy expert, Dr. Bob Brier. Affectionately known as "Mr. Mummy," Dr. Bob Brier is recognized as one of the world's foremost experts on mummies and Egyptology. As Senior Research Fellow at LIU Post in Brookville, New York, he has conducted pioneering research in mummification practices and has investigated some of the world's most famous mummies, including King Tut, Vladimir Lenin, Ramses the Great, Eva Peron (Evita), Marquise Tai (Chinese noblewoman), and the Medici family of Renaissance Italy. You may recognize Bob Brier as he was the host of several educational programs on TLC, including "The Great Egyptians," "Pyramids," "Mummies and Tombs," and "The Mummy Detective." Dr. Brier was also the subject of a special on National Geographic, titled "Mr. Mummy," leading Brier to become a household name. Dr. Brier has made appearances on CNN, CBS's 60 Minutes and ABC's 20/20. He is continually sought after by the media for his expertise on mummies and Ancient Egypt. Dr. Bob Brier is a published author of nine books on the topics of Egyptology and mummies. 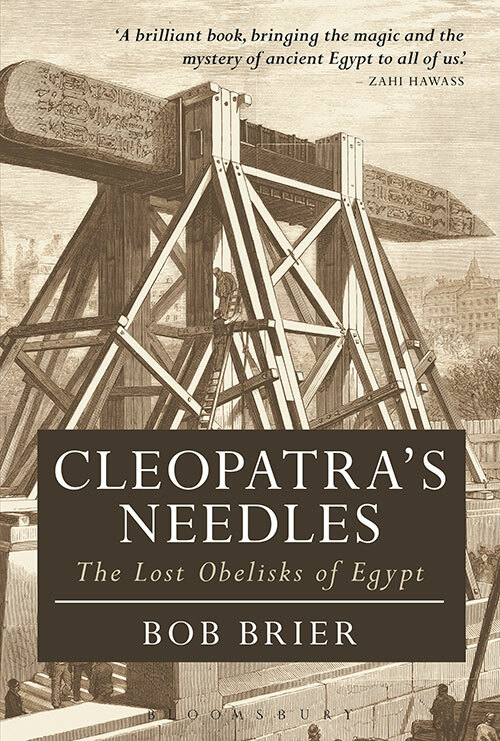 His most recent book published by Palgrave Macmillan, "EGYPTOMANIA: The World's 3000-Year-Old Fascination with the Land of the Pharaohs," will be the topic of this special presentation. There will be an intermission with the opportunity to meet Bob Brier and purchase copy of his new book, "EGYPTOMANIA," which you can get personally signed by Mr. Mummy himself. We will also have a real MUMMY ARM on display in the lobby during the intermission. Her name is LEFTY. Ask Bob Brier about her intriguing story. After the intermission the audience will return to the Theatre where there will be a Q&A session with Bob Brier. If you have a fascination with all things Egyptian or have an undying question for Dr. Bob Brier, then you don't want to miss this chance to meet Mr. Mummy! For tickets, call 631-207-1313 or visit PatchogueTheatre.org.